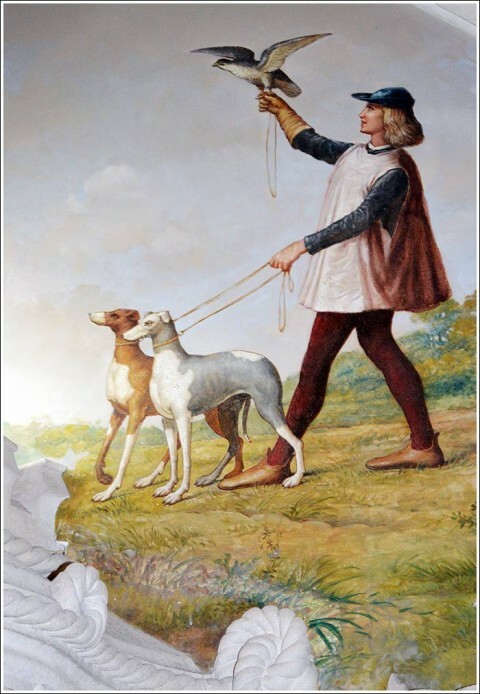 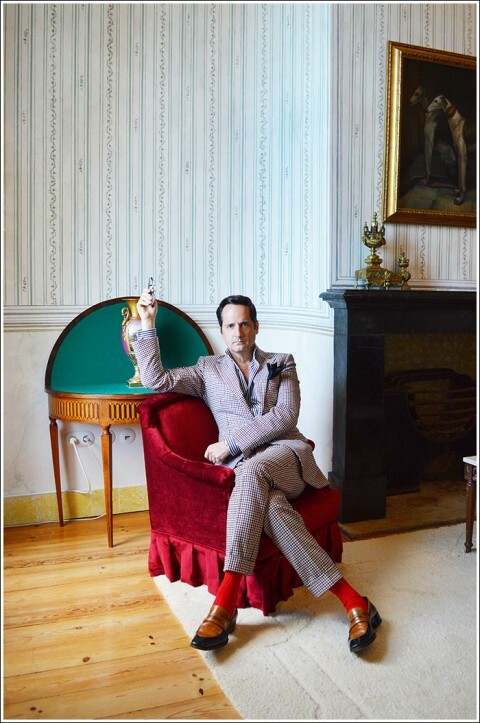 Seaman Schepps – WHAT IS JAMES WEARING? 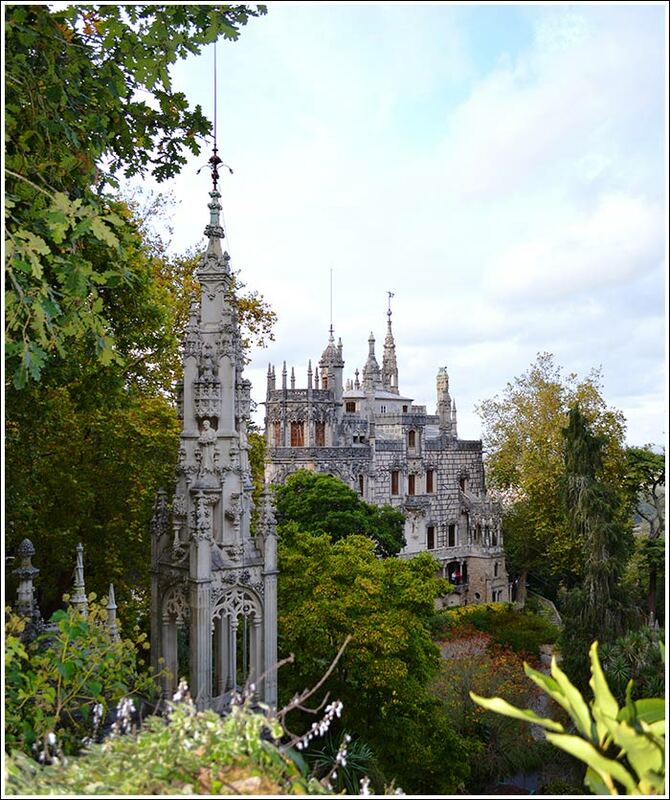 Our final installment from our journey Portugaise finds me still reeling from the beauty of it all. And as always, we are thrilled to hear such wonderful feedback! I sense we will be returning to Portugal in the very near future. We simply did not want to leave Tivoli Palacio de Seteais (our home in Sintra) yet with so much left to see during our remaining day, McBee and I managed to tear ourselves away after a hearty breakfast. 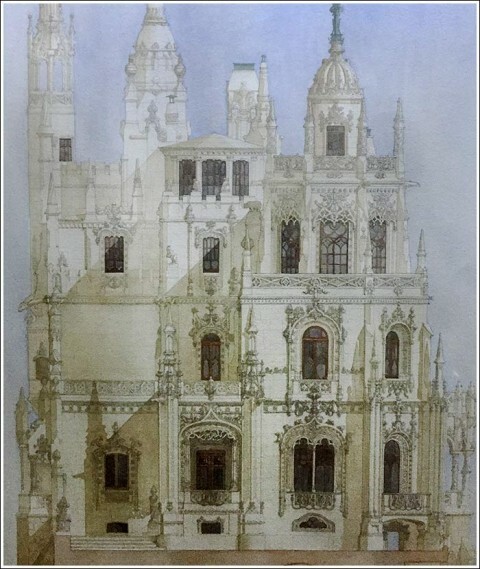 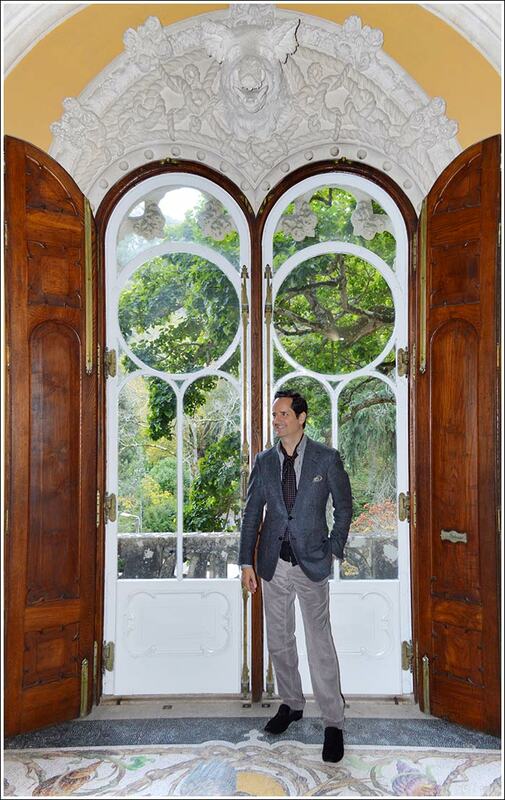 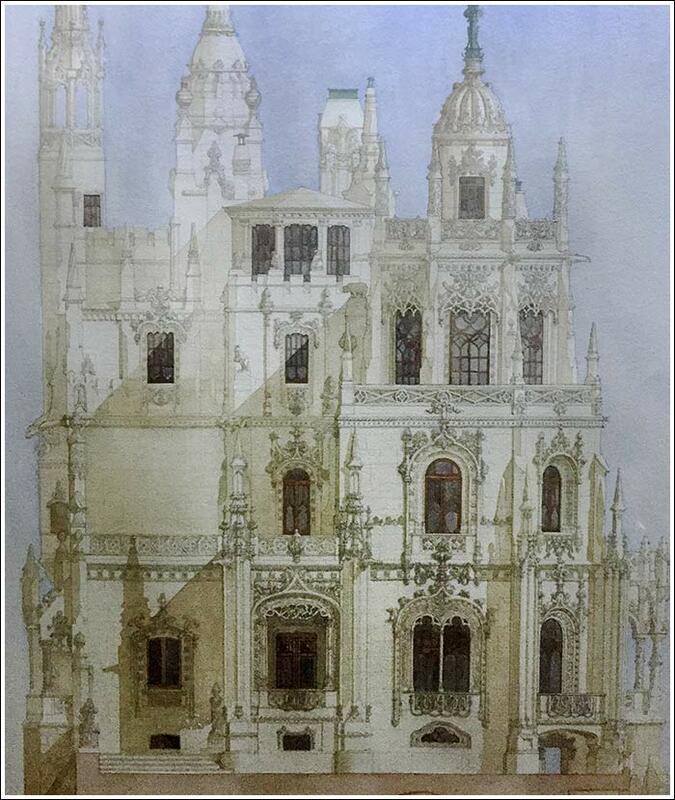 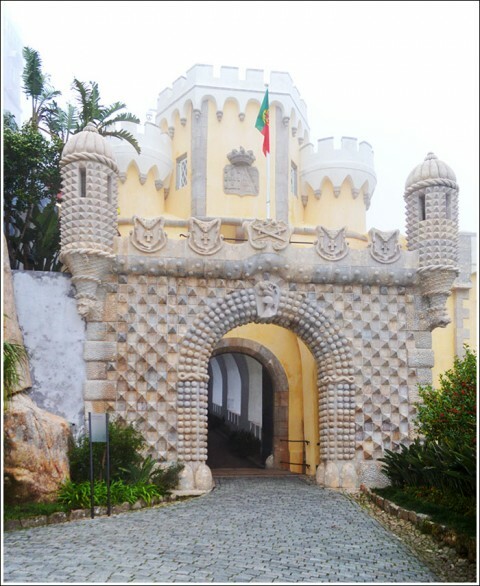 There are two more not-to-be-missed palaces in Sintra: The Palacio Nacional de Sintra located and the Palacio da Pena. 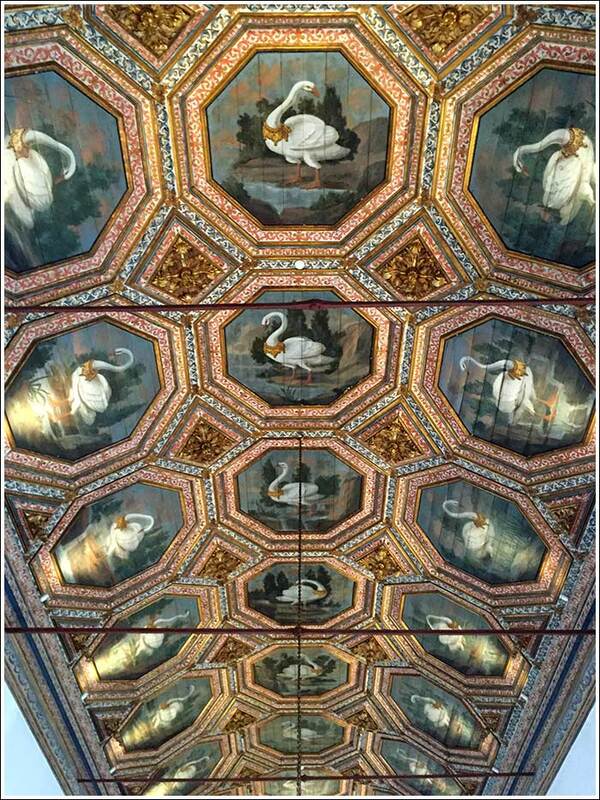 The former is located in the heart of the old town, and was a residence of Portuguese royalty until 1910. 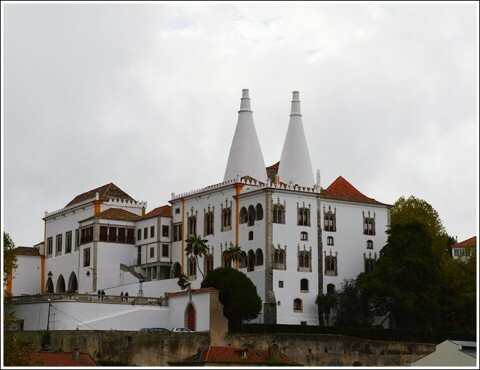 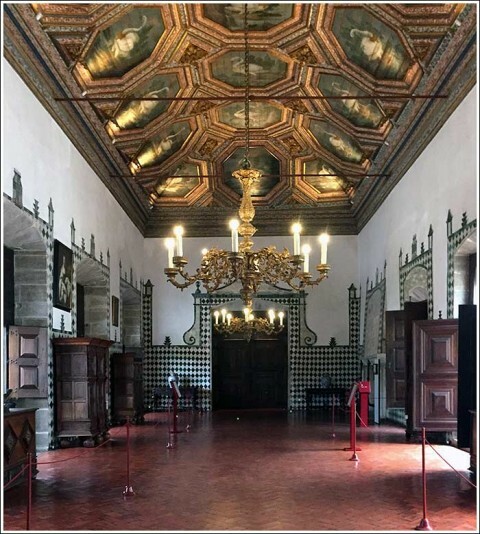 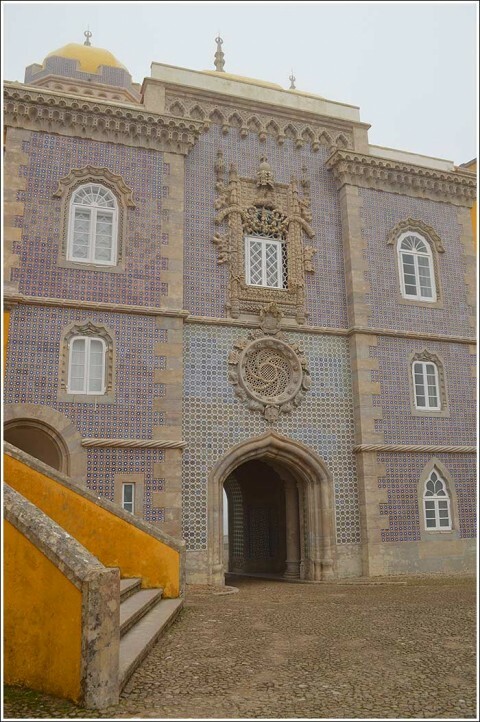 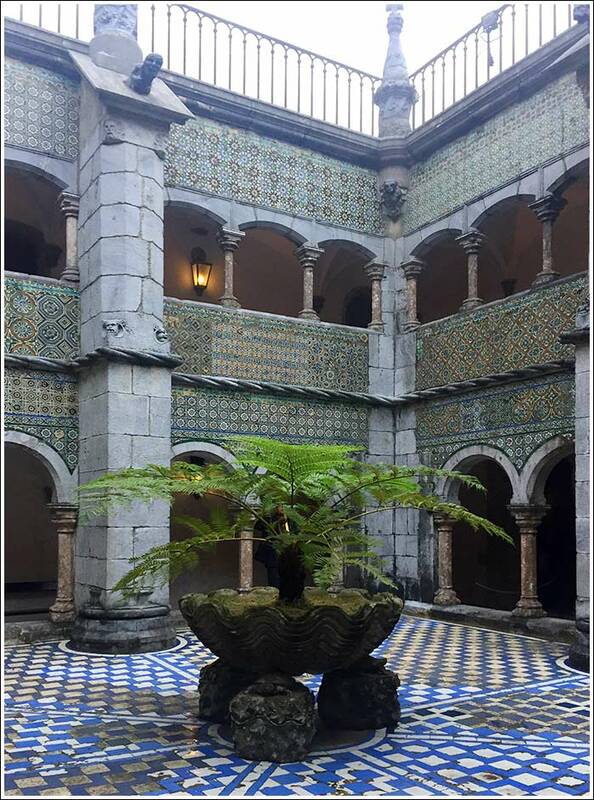 Its marvelous mix of Moorish architectural styles, amazing azulejos, painted ceilings, and fabulous furnishings make the Palacio Nacional de Sintra a true delight to behold. 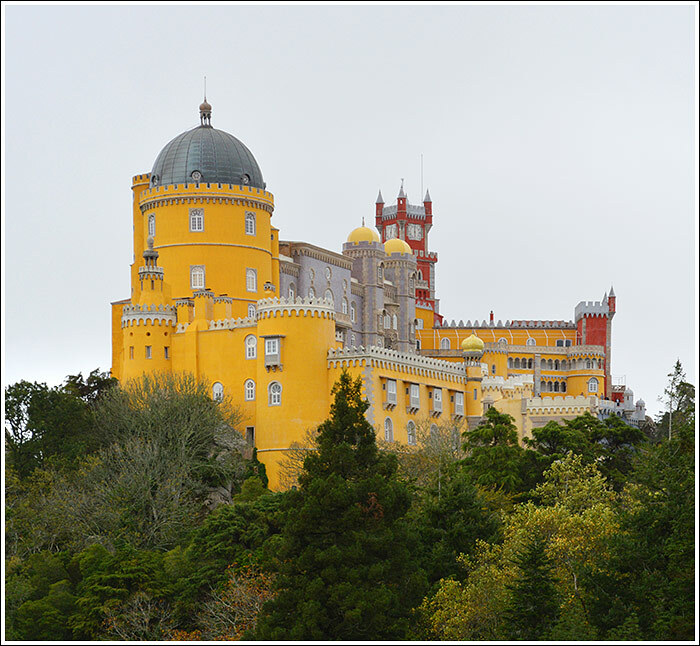 The latter, Palacio da Pena, was used as the royal summer residence up until 1910. 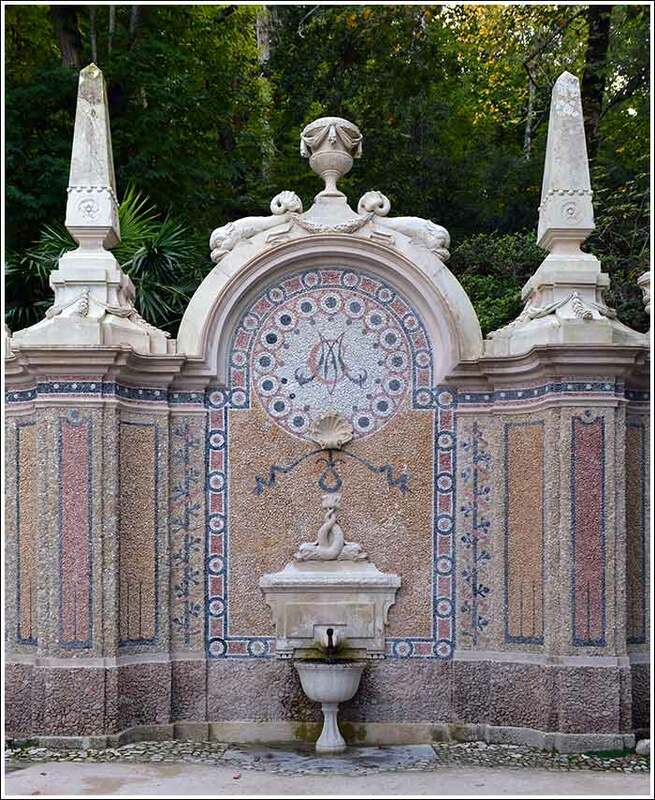 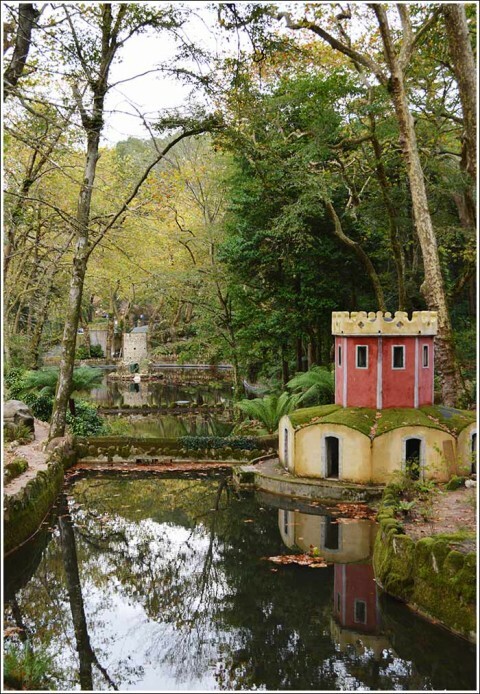 Perched on the highest peaks of Sintra and realized in a dizzying conflation of architectural styles, it is one of the finest examples of Portuguese Romanticism, and as would be expected, it is replete with enchanted park grounds. 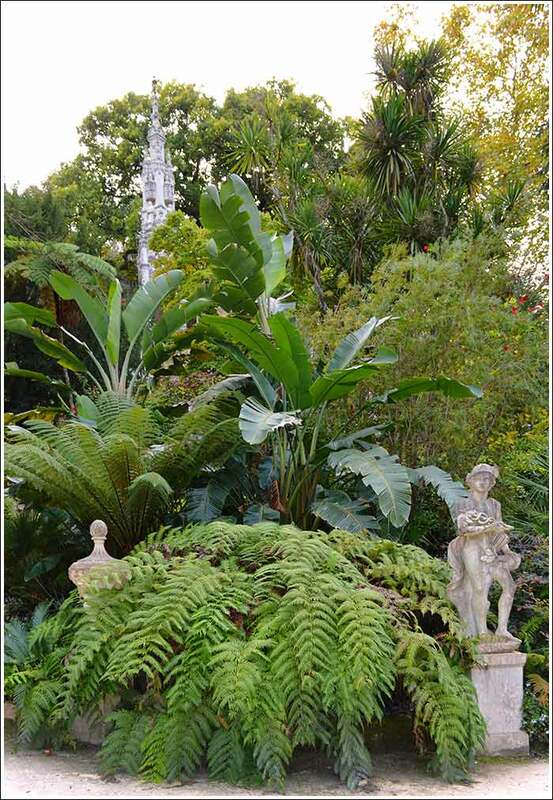 A fog rolled in towards the end of our visit there, creating the most pictorially perfect ending to our visit. 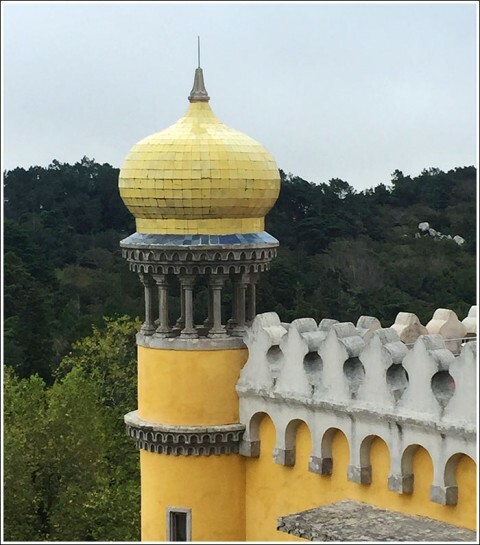 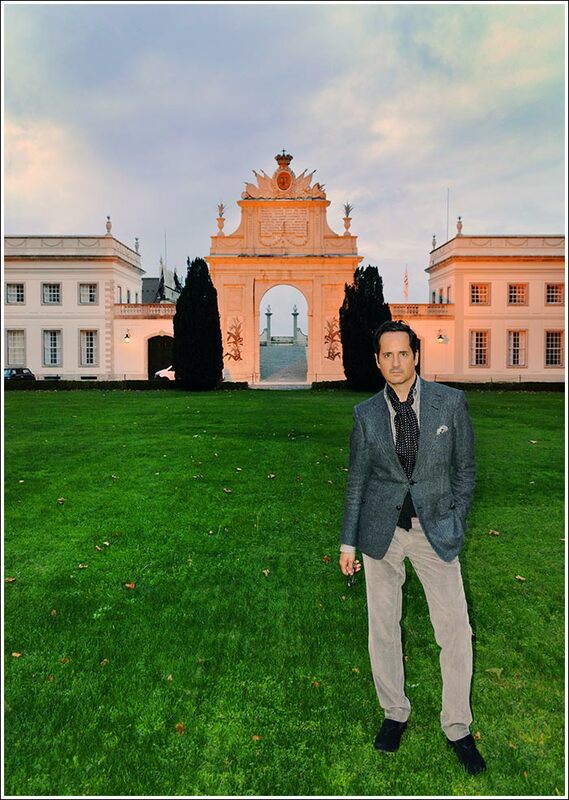 Just a five minute walk from there, we had a lovely Portuguese luncheon at Tacho Real, and later to celebrate our last night in Sintra, we dined at the divinely elegant Tivoli Palacio de Seteais. Taking time to bask in the beauty of our palatial room at the Tivoli Palacio de Seteais (top), I’m sporting a Tom Ford wool/cashmere suit in an ivory, charcoal and claret check, black and white striped cotton shirt and black and saddle leather loafers, Seaman Schepps black pearl cuff links, vintage Rolex, Charvet Paris black silk pocket square, red wool socks from Barney’s NY, and my fragrance is Creed Windsor. 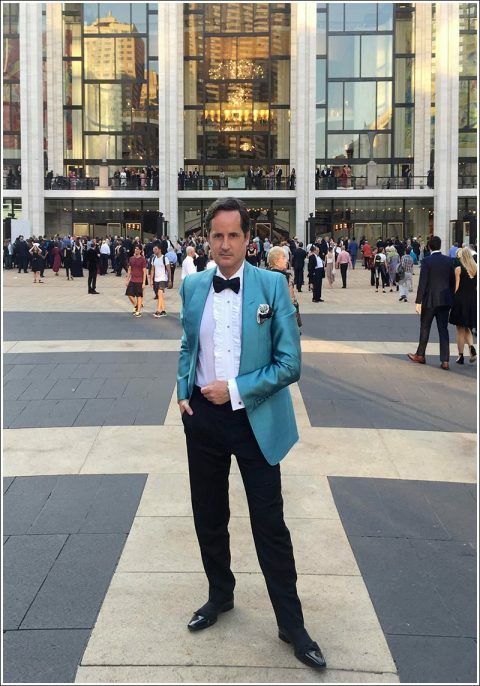 I’ve also applied a touch of Tom Ford Bronzing Gel to provide a healthy glow.